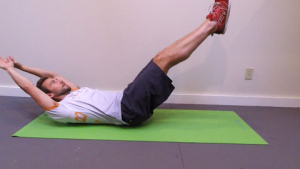 The Hollow Rock is a core exercise often found in CrossFit and gymnastic workouts. It is also beneficial for endurance athletes, but I rarely see it used by runners, cyclists or triathletes. 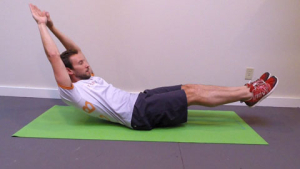 The movement recruits muscles deep in the core which are often missed during traditional ab workouts. Training these muscles will increase core stability during pretty much any sport, or strength training program. That increase in stability will reduce your risk of injury and give you a stronger foundation to build power from. What exercises to use and when to progress to train your core to Rock like a champion! All good things. Here’s the downside… It is HARD 🙁 Most anyone who has not pre-trained the specific muscles used in the Hollow Rock will struggle with this movement at first. If we can conquer it abdominal glory awaits. Where do we mere mortals start? At the beginning. When I first added the Hollow Rock to clients’ routines I got lots of negative feedback. “It hurts”, and “I’m getting stiff in the back” were regular reactions. Not the result I, or they, wanted. After digging deeper I found most weekend warriors and seasoned athletes alike, cannot do this movement correctly. Why? Their cores were not strong enough. 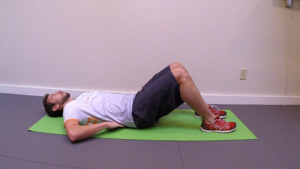 This is a tough position to hold without targeting the deep abdominal muscles needed to complete it. We have identified a limiter that once conquered will benefit us in everyday life and lead the way for performance gains in lots of sports. Jackpot! In my eyes if you can hold this position for even 3-4 rocks you are ahead of the crowd. I use some variation of the Hollow Rock when baseline testing my clients. If your core is not prepared to fully extend your arms and legs Hollow Rocking will probably be too much for your back to handle. You will probably end up so fatigued you cannot hold the proper form and the result will most likely be a sore lower back. I do not like feeling older than I am. I’m guessing you don’t either. We have an exercise that if done correctly will provide us with great results. If done incorrectly it could cause soreness or injury. Don’t let that scare you off. Follow along to start safe, gradually build your core strength and progress to being able to do the real thing. Goal: Strengthen our core well enough to do the Hollow Rock correctly. How do you get to the top of a ladder? One step at a time. Where does the journey begin? With the first step. If you are unable to correctly hold the Hollow Rock position modify it. 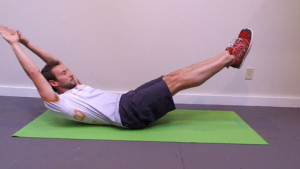 Start with a position you can hold with less risk and skip the back pain. Test yourself starting with Step 1. It is the simplest and easiest version of the exercise. If you can perform the graduation workout of a step with proper form then move on to the next step. Progressing this way will help you make your way up our proverbial ladder of abdominal excellence with less aches and pains. Give yourself at least 24 hours between workouts. 48 hours is better to let your muscles fully recover. Remember you are working muscles like they haven’t been worked before. They need time to heal and rebuild before you stress them again. There are two things that drastically increase the difficulty of the Hollow Rock. 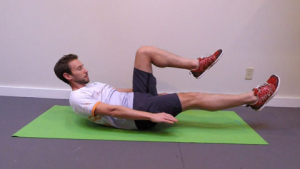 Leverage or extending the arms and legs as far away from the core as possible, and movement. The rocking motion. We take both of those out of the equation and start with the Static Chair Hold. (20 seconds rest between reps, 1 minute between sets). Once you can do the set above add another set at the next workout. Add sets of 5 reps until you can do the Graduation Workout below. Now that we have mastered the basic hold it is time to raise the bar. Enter movement. For this step I suggest you work with a buddy for visual feedback. For some people it is hard to tell whether or not they are moving the hips. Having someone at your side watching will keep you from cheating and on track to ingraining safe and proper form. Once you can do the set above add another set at your next workout. Add sets of 5 reps until you can do the Graduation Workout below. In Step 2 we started moving. Time to add some leverage, so go ahead and extend a leg. Start with the Holds. (10 seconds rest between reps, 1 minute between sets). Once you can do 5x 5 add another set. Add sets as doable until you can do the Graduation Workouts below. 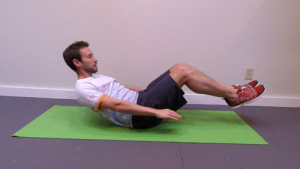 This step is another combo of two exercises. 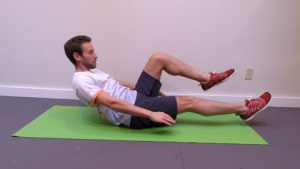 You are going to alternate between the two each time you do an ab session. Day 1 ab work includes the Torture Twist. Repeat until you can complete the graduation workout for both exercises. Add 1 Set per week, or as core strength allows, until able to complete the Graduation Workout. Start with 5 second holds. Each week add another hold until you can do the Graduation Workout below. This is it! The big day. You are about to become ab-mazing! Thanks so much for following along. Have feedback or questions you’d like to share? Shoot them on over in the comments section below! If you enjoyed this article, please share it with others who might benefit from it. Just click your social media icon of choice at the bottom of this post. Know Someone Who Could Use This? GO ON, SHARE IT!